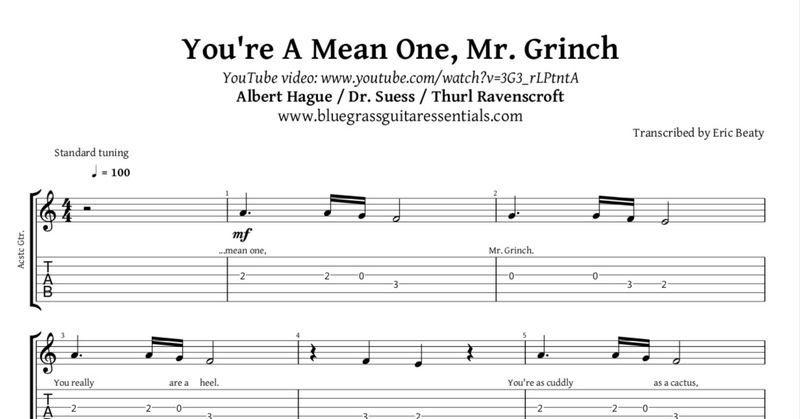 Exclusive to Patrons on my Patreon page, this classic tune is sure to get you in the Grinchmas mood! I teach a Bluegrass Band for kids where I teach guitar, and I had to create this musical score to convey what I wanted the song to sound like for the fiddlers in the class who read music. BONUS: In addition to the Guitar tablature and audio files, I've also included the files for the violin as well. P.S. Also exclusive to Patrons, check out the video I recorded while creating this tab pack!